Founded in 2014 by Taiwanese choreographer, Po-Cheng TSAI. In short, Inception was energy unbounded, precision, and insight into what defines the human body, each one of them being an attribute the choreographer tapped in Inception to reflect Einstein’s true genius. No doubt he’d have welcomed the tribute. “Po-Cheng Tsai, à la tête de la compagnie B. Dance depuis 2010. Déjà bardé de prix récoltés lors de compétitions en Allemagne, en Espagne, ce jeune chorégraphe met le tutu romantique à l’épreuve de la question des genres et d’une énergie parfois martiale! Tsai’s works are strongly balletic, and it was nice to see the eight dancers get a chance to arch their feet and execute long extensions and graceful lifts. Tsai has great taste in music and he did not disappoint with his selections of several Ezio Bosso compositions and Keaton Henson’s Healah Dancing. concentrated and humorous piece, very clear dramaturgy, colorful, very powerful language of movements, unconventional, intelligent and proper, just convincing! But the evening's most surprising feature was reportedly enough also that which scored the biggest applause: a duel between two men and a red stick, created by Taiwanese Po-Cheng Tsai, who last year won the Copenhagen International Choreography Competition. It is precise to say the work is a clever balance of body and poetry. The choreographer’s arrangement of two dancers sitting on each other’s shoulders makes them appear like a giant dancer’s perfect skirt. Floating Flower is indeed a clever masterpiece. Tsao Cheng-Yuan: “Tsai Po-Cheng’s “Floating Flower” emphasizes interpersonal relationships. From this work you will discover that instead of performing in a certain mood, they use stage language devices to perform through clothing and action”. The audience’s favorite piece “Floating Flower” is a pas de deux filled with surprises created by Tsai Po-Cheng from Taiwan. As the dance starts, the male partner readily hiding under the puffy skirt lets the female dancer sit on his shoulder. Suddenly the peitite female dancer grows like a tree, briing the first surprise to the audicence, folllowed by an interesting mix of rhthymic and lively dance. Featuring unpredictability, Tsai Po-Cheng puts everyday objects to good uses and creates new ideas out of them.rnIn a nut shell, he is a magician that unveils the mystery of the gift cordially presented to the audience. By combining traditional Asian movements and martial arts with contemporary dance, B.DANCE offers theatrical, physical, and emotional performances that are approachable and inspiring for a diverse audience. Since it’s establishment, B.DANCE has presented performances nationally and internationally. Po-Cheng has created performances for a variety of recognized international dance companies, such as Introdans, Tanz Luzerner Theatre, Gauthier Dance, Cloud Gate 2, Bern Tanzcompagnie. Taiwanese choreographer Po-Cheng Tsai (born 1987) is the founder of B.Dance. Soon after graduating from Taipei National University of Arts in 2009, Tsai established his personal choreographic language and aesthetic. 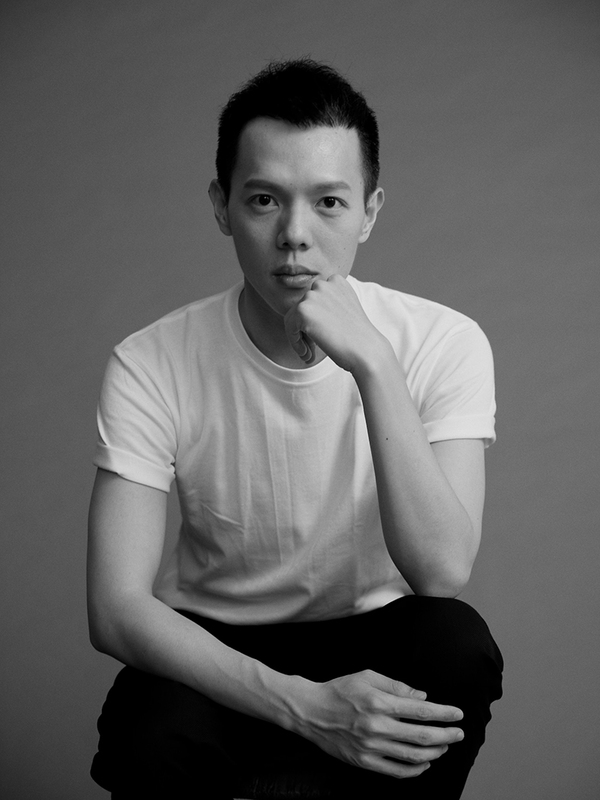 Po-Cheng has been awarded first prize for choreography by a number of international choreography competitions, and was nominated by one of the world’s most promising choreographer by the German magazine “Tanz” (2017/2018).